Citric acid is an organic acid that is often used as a preservative in foods or to impart a sour flavor. The acid is most notably found in various fruits, including lemons, limes and oranges. 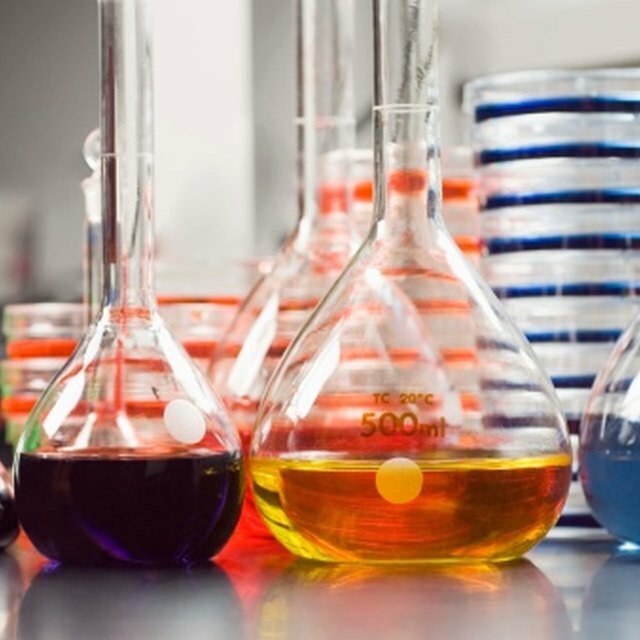 Citric acid is commonly found in laboratories, and though normally safe, there are a few minor hazards associated with it. You may come into contact with it when handling citrus fruits or doing science experiments. Citric acid can be a minor skin irritant, causing itchy skin and even minor burns to those that are sensitive to it. Hands should be washed immediately if citric acid comes into contact with bare skin. Protective gloves should be worn during handling to avoid any accidental contact. The acid can also irritate the walls of the throat if ingested, or burn the lining of your stomach if ingested in large quantities. Citric acid is a severe eye irritant. Accidental contact with the eyes can occur if the fruit is squeezed and the juice squirts out or by touching the eyes after the acid has contacted the fingertips, which may happen whenever you're preparing lemons, oranges or other citrus fruits. Protective eyewear should be worn when working with citric acid under laboratory conditions. Eyes should be flushed with water immediately if they happen to come in contact with the acid. Consumption of citric acid can lead to the gradual corrosion of tooth enamel. This can be a problem with drinks that contain the acid, like lemonade, orange juice, and many carbonated soft drinks. Corrosion can be curtailed by using straws to drink such liquids, as the acid will bypass the teeth. The Villejuif leaflet was a false scientific document passed around in the 1980s that included citric acid on its list of 10 potential carcinogenic substances. However, citric acid has no scientific connection to cancer and is a perfectly safe food additive. The error in the report was purportedly due to linguistic confusion, as citric acid is part of a biological cycle known as the Krebs Cycle, with "Krebs" loosely translating to "cancer" in German. Shields, Brenton. "Hazards of Citric Acid." Sciencing, https://sciencing.com/hazards-citric-acid-8165149.html. 13 March 2018.